My heart is breaking now. During the spring of 2011, poet and artist, Susannah Pabot, contacted me about creating some music for her upcoming art exhibit - I Gave You Words - Field of Cradles. She sent me some of her extraordinarily touching poetry that had been inspired by mothers who had lost their babies to preeclampsia. After reading Susannah’s poetry, I went for a prayerful walk and the feelings of pregnancy came roaring back to me. Being pregnant is so much more than a physical event and images of all that I had dreamed for our son while he was still in my womb floated through my mind. As I walked, the title and lyrics began to pour out. Over the next few days, the images recurred and the music took form and Full of You was born. While my son is alive, we almost lost him twice during his first 14 months. 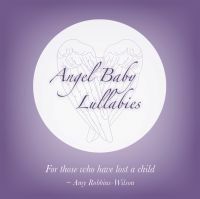 Those times were so frightening that it is difficult to imagine the devastation of losing a baby. It is my hope that this music will provide some comfort to those families in their time of grief.